(Munster, IN) - Three Floyds has a Facebook post to update their newest collaboration beer. This one is with Half Acre and is called Mutiny & The Mollusk. The style is an oyster stout. According to the post, it is available at the Three Floyds pub now, and on tap "soon". 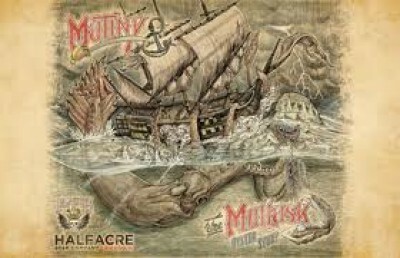 "Mutiny and the Mollusk our collaborative Oyster Stout brewed with @HalfAcreBeer is now available in the pub. $9/bomber On tap soon."